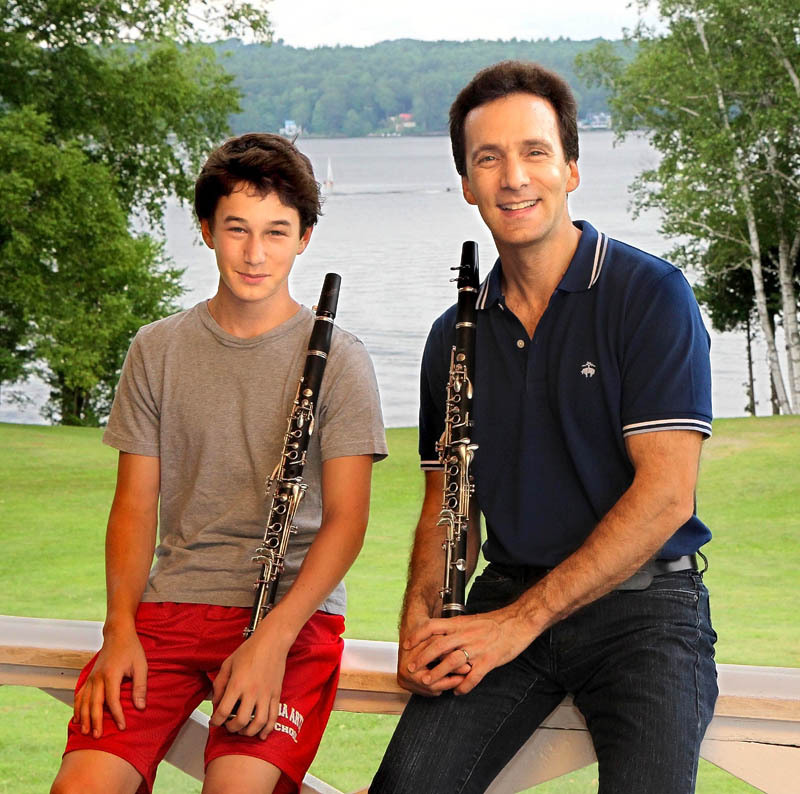 Clarinetist Jon Manasse is teaching during a one-week residency at the New England Music Camp, where he will perform Wednesday and Sunday afternoon. SIDNEY — Most people have heard the music of clarinetist Jon Manasse even if they don’t realize it. This week, Manasse, 48, is teaching during a one-week residency at the New England Music Camp, where he will perform Wednesday and Sunday afternoon. Manasse first attended the summer music camp in 1977, when he was 12. The residency is a homecoming to a place that still feels magical, he said. Manasse said that the camp has an air of authenticity, helped by the remote forest setting, camp rules against cellphones and other electronic devices and long-standing traditions involving four generations of the Wiggin family, who have run the camp since 1937. For the past seven years, the camp has invited former students back to work with current campers. Camp co-director Kim Wiggin said Manasse, whose 15-year-old son, Alec, has been a student at the camp for the past three years, was a natural choice for the residency because of his success as a professional musician. He has played in some of the world’s most prestigious orchestras and venues, including Carnegie Hall, the American Ballet Theater Orchestra, the New York Chamber Symphony, the Metropolitan Opera Orchestra, and the New York Philharmonic. He is also a faculty member at New York City’s Julliard school of dance, drama and music. Manasse and his son will perform a jazz duet Wednesday during a performance that begins at 8 p.m. in the camp’s Alumni Hall. At 3 p.m. Sunday, when Manasse performs with the student symphony orchestra during a concert at the Bowl-in-the-Pines, the performance will have a special meaning for him. He is playing Mozart’s clarinet concerto, a piece he first learned as a student more than 30 years ago at the camp, when his performance netted him first place in a concerto competition. The events are part of a larger summer schedule that, beginning the last week of June, typically includes public performances by the camp’s students and faculty every Wednesday, Saturday and Sunday. Manasse said he first took clarinet lessons when he was 11, after a music store owner on Long Island suggested the instrument would be a good match for him. While Manasse and his wife, a cellist, are both dedicated to music, they aren’t making any assumptions about the career choices of Alec and their other two children. Manasse said playing music is a strange blend of self and community. The New England Music Camp, he said, maintains an atmosphere that is particularly rewarding for music-lovers. “The whole community is designed around this infectious love for music,” he said. He said residents of the area should consider attending the performances, even if they don’t think of themselves as fans of classical music.